In a huge year for Hillsong UNITED, their latest project Zion topped the iTunes overall album chart and debuted at No. 4 on Billboard 200 and No. 1 on the ARIA chart. Yet within every great album are songs that stand out from the rest, and 'Oceans (Where Feet May Fail)' has resonated across the world. 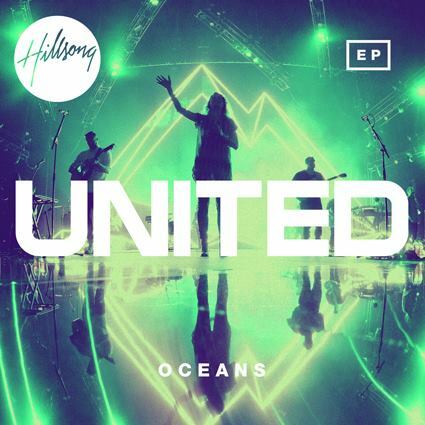 So popular is the song that UNITED has released the 'Oceans' EP featuring the original version of the song, a radio version, a live version recorded at the monumental Red Rocks in Denver during their sold out show, a remix version and an acoustic video that includes Joel Houston talking about the heart behind the song. Houston said there was a moment when they realised Oceans had something special. "In the studio there was this moment we all stopped and thought 'that's crazy'. He said that when UNITED sang 'Oceans' in South Africa, the sense of worship intensified. 'Oceans' was written by Matt Crocker, Joel Houston and Salomon Ligthelm and is a personal cry to God. "I will call upon Your name; And keep my eyes above the waves; When oceans rise; My soul will rest in Your embrace; For I am Yours and You are mine." UNITED will close out the year with a special acoustic release on October 29 titled 'ZION Acoustic'. This iTunes exclusive will feature the twelve ZION songs that were recorded live at a cafÃÂ© in Sydney, Australia earlier this year. It will also feature live video from the recording of each song. The team will return to the USA and Canada in November for ten additional tour stops including Boston, Atlanta and Miami.